Over the 25 years that I have been talking with people about the Aramaic Jesus, I am often asked questions about the life and culture of Yeshua’s listeners. If anything, what I found was decidedly un-holy. On one level, I found many similarities with life today: an enormous disparity between rich and poor, many people taxed into destitution, corrupt officials and bureaucracies, great empires clashing over trade routes and spheres of influence, networks of spies and bandits, other-worldly visionaries, renegade scribes (like our computer experts), and underground revolutionary and terrorist cells. Stepping back further, I found enormous forces rising from underneath people: two gigantic tectonic plates pushing together, forming a “great rift valley” that creates earthquakes and unusual ecological features. For one thing, enormous aquifers—huge underground lakes—formed under the area now called the West Bank. In ancient times, and even more so today, water can become as valuable as gold. And well worth going to war over. The ecosystem at Jesus’ time was very diverse, much more so than today. Far from being a desert, a large part of Galilee was a wetland, complete with lions and wild animals no longer there. In the early 2000s two other colleagues and I visited many of the natural areas that Jesus walked, surveying the remnants of the ecology and natural world that he and his listeners would have experienced. Almost all of Yeshua’s teaching occurred in nature, not within four walls. As I described what I had found to various audiences over the years, I pondered the best way to communicate it. Scholars clash over their interpretation of much of the archeology and anthropology of Roman Palestine in first century CE. Some of the best known scholars of the “historical Jesus” seem to reap a bonus from their publishers and the media for keeping the whole story as safe as possible, that is, fitting within a scenario that doesn’t threaten Western Christianity’s side of the story, with clear (and imaginary) demarcations between “Christians” and “Jews.” At the same time, I found other scholars who were not afraid to tell a different story: one of a volatile time and place, with many diverse groups clashing over how best to rid themselves of an oppressive empire and its collaborators. 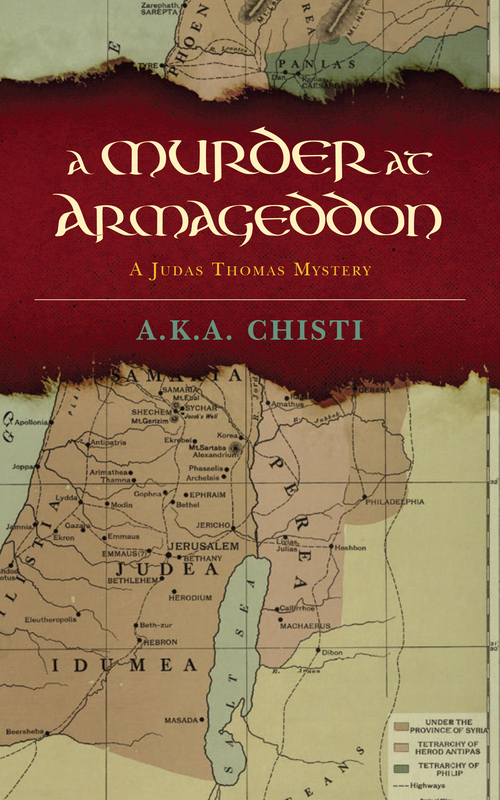 A murder at Megiddo, an ancient pagan site later reputed to be the site of the apocalyptic Armageddon at the end of time. A group of revolutionary scribes. A fictional back story for Judas Thomas, the reputed author of the Gospel of Thomas (and other gnostic Thomas books), as well as for Ioannis-Yehohanan, the reputed author of the Gospel of John. Plus: an extended family influenced by ancient matriarchal pagan culture that saw itself as the savior of the Israelite people. If you’re in North America, this is the best place to order the book (at least for me). If you live elsewhere, just go to one of the international Amazon sites, where you will shortly also be able to find the Kindle ebook version. 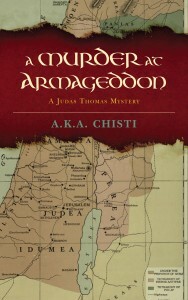 I wrote A Murder at Armageddon under a penname, so that no one should be in any doubt that this is work of fiction. Having said that, it is as accurate as I could make it to the life and times of the volatile first century in the Holy Land. I hope you enjoy it….it makes a good summer read, if I do say so myself! This entry was posted in News from Neil on June 21, 2015 by Neil Douglas-Klotz.